The first ever silk painting workshop took place on 27th January. We started by painting squares of silk that had a gutta outline of a butterfly, to learn how to use the silk paints. We then experimented with gutta and designed our own pictures which we transferred onto the circular suncatchers, using the skills that we'd learnt earlier in the workshop. 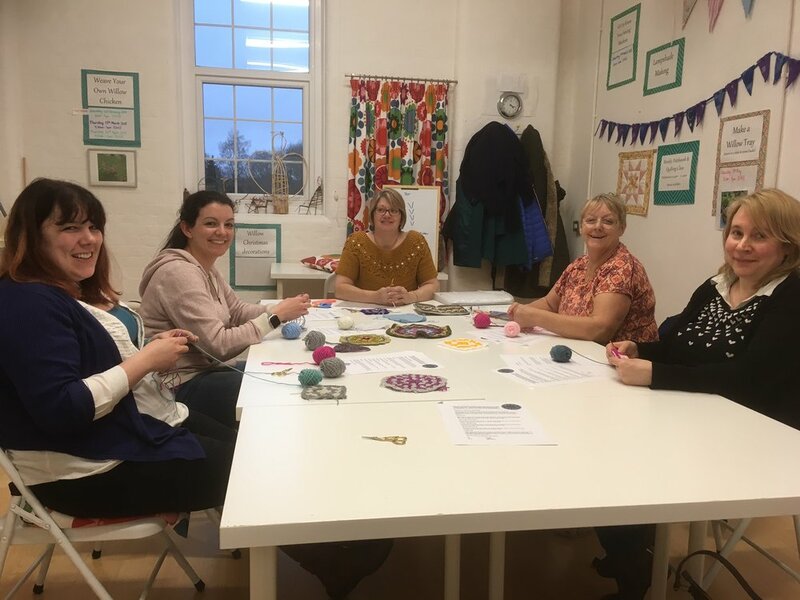 In the afternoon we had a beginner crochet workshop, where everyone learnt to make granny squares. 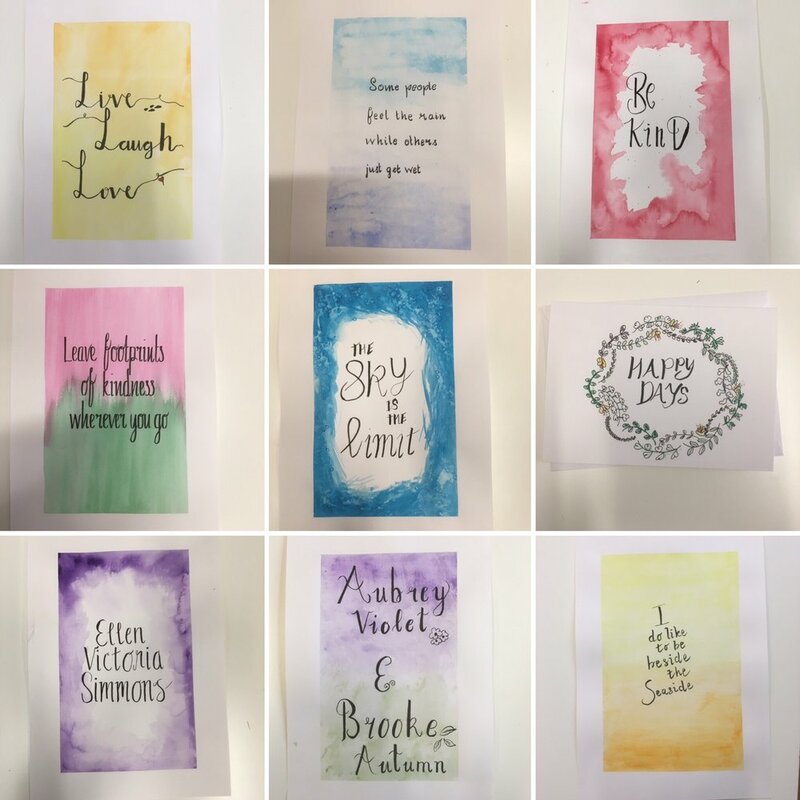 The second workshop of 2018 was Beginners Calligraphy. Lots of lovely quotes and greetings cards were made during the morning. 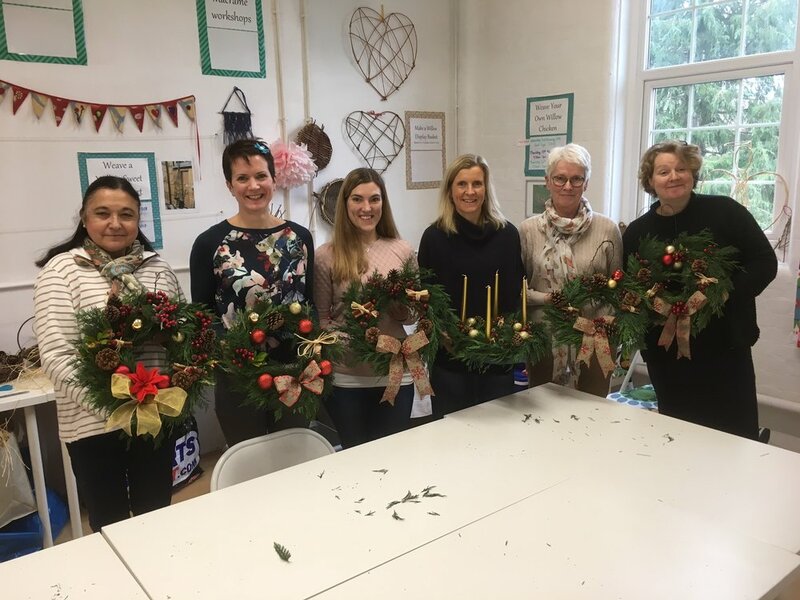 The final Christmas workshops of 2017 were spent making Christmas wreaths. There was also an option to make a table decoration instead of a wreath - you can see a selection of these amongst the wreaths below! 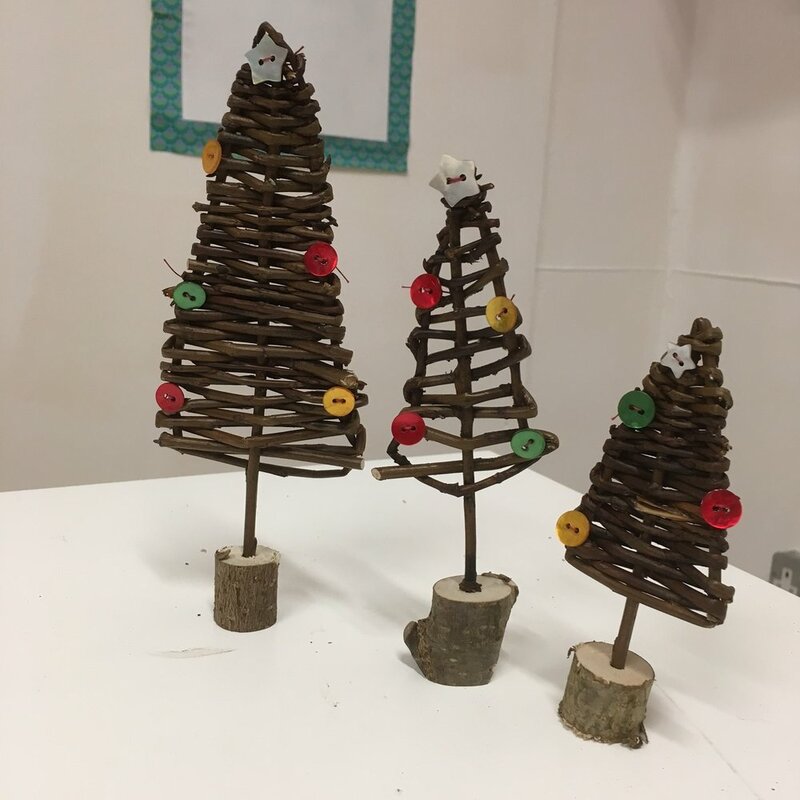 Saturday 18th November saw a full day of willow Christmas decoration making, with Willow Angels in the morning and Willow Christmas Decorations in the afternoon. 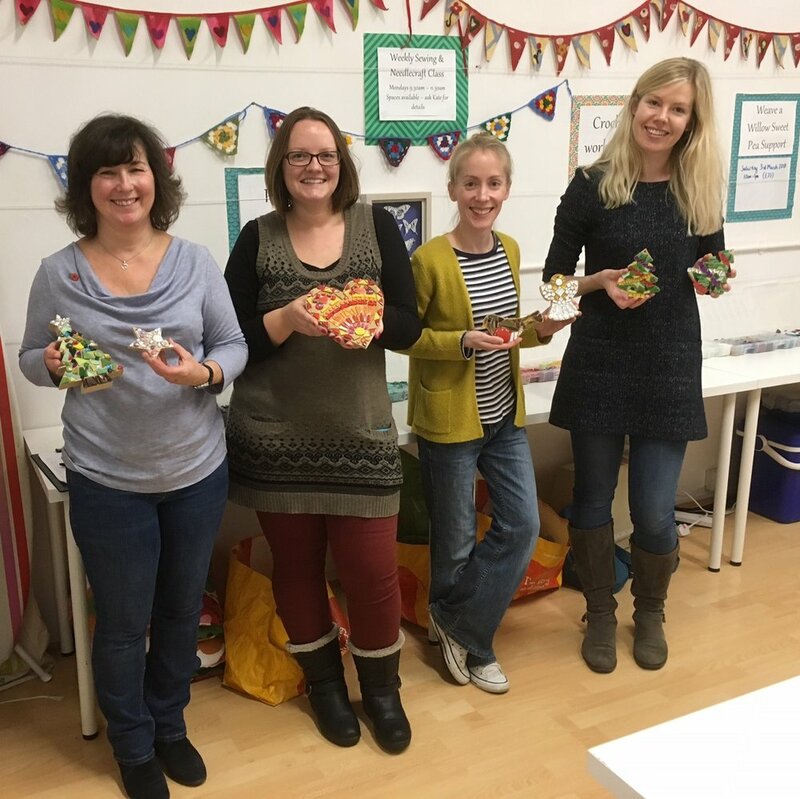 It was a very busy Friday and Saturday, with three Christmas workshops on the trot! 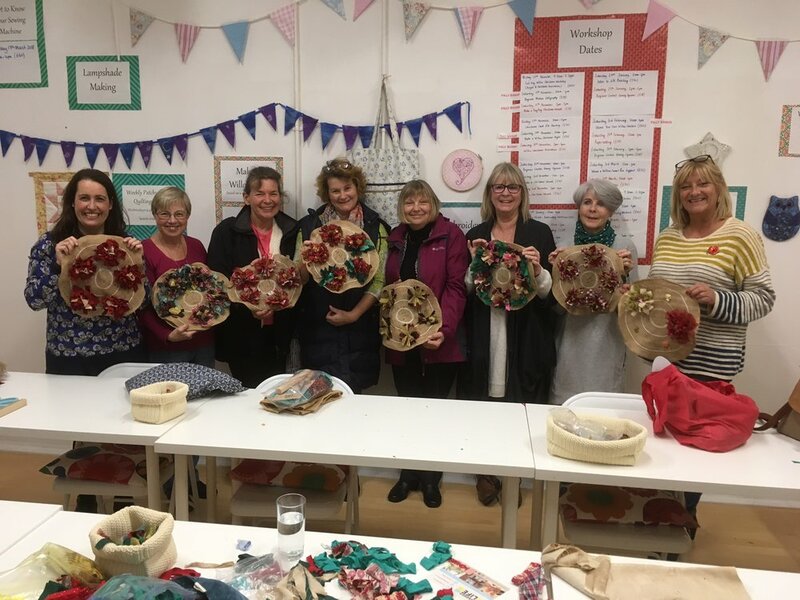 Friday saw a full day of Willow Angels and Christmas Decorations, then Saturday brought Modern Calligraphy with a Christmas focus in the morning, followed by Rag Rug Christmas Wreaths in the afternoon. There was lots of great crafting throughout the two days and lots of cake eating too! The pictures below show a small selection of what was created over the two days. All three workshops will be returning in the run up to Christmas 2018. It was the first of our Christmas workshops on Saturday, with mosaic workshops in the morning and afternoon. It was the first time that we'd had new, smaller, Christmas shapes (eg baubles, angels, mini Christmas trees) and they were very popular. The final mosaics were all very sparkly and Christmassy!